That dream is now in closed Early Access. Sign up for the closed Beta. 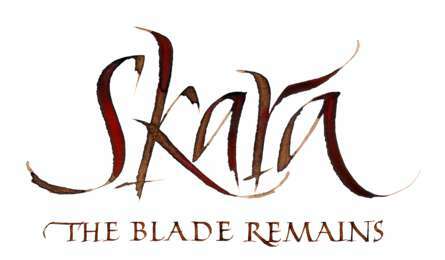 Playing Skara automatically means you have a say in its continued development. From achievements to game modes, there are a whole host of details that we leave open to you, the players, to decide. We are really a tiny team and take the community seriously. Just check the forums to see that in action! Celem is no longer the only Light that governs the world of Skara. Lôm, the lesser Light, engaged Celem in a celestial combat, wreaking havoc upon all that depended upon Him for life. Fear comes from the belly. So Khärn cut the belly to let it out. Born from the bowels of Skara, these mysterious and violent raiders of the land are by far the strongest of all. However, their brute strength makes them slow, offering brave opponents a brief opportunity for victory. ...Soon all will know, and fear, the Sons of Fire. The tireless Celea escaped their burning homes to settle in a new land. Little did they know how soft and unprepared that land would be. Unstoppable in groups, the Celea are masters of Atash. The Shinse lost their ancestral lands on Skara’s coast to the invading Celea. Now they seek revenge. Swift and agile, the Shinse have only two types of opponents: The quick and the dead. The Tamvaasa descend from the Long North, a hardened race with a proud history and an age old rivalry with their southern neighbours, the Durno. Their piercing attacks, combined with powerful song-lore taken from the wild, makes them a force to reckon with. … Don’t say we didn’t warn you. 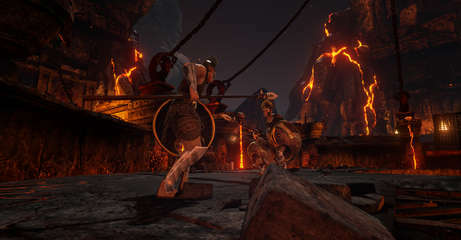 Part of the vision of Skara is to allow players to literally become the protagonists of an unfolding drama. The best gameplay from the future faction mode will form the outline of a fantasy thriller currently in development alongside the game.